Looking for a Management Company? 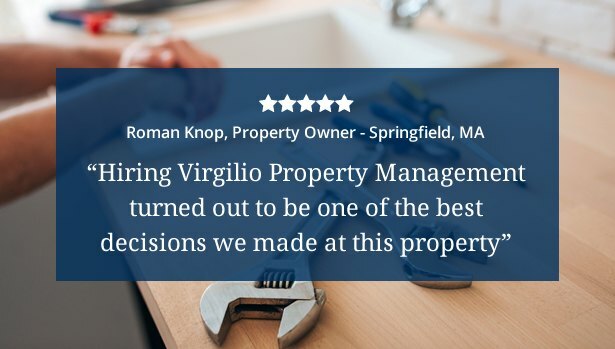 Virgilio Property Management, Inc. is a full-service property management company located in Holyoke, Massachusetts that aims to maximize the value of our clients’ real estate assets. 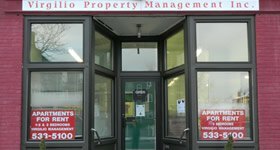 We understand that the future of your investment is dependent on the property management company you choose. That is why we approach every aspect of our business with a high level of expertise and professional integrity. 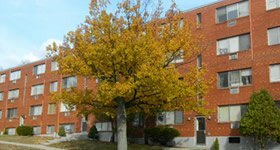 With almost 30 years of experience behind us, we have the expertise necessary to protect and maintain your multi-unit apartment building. We’ll collect and account for your rent payments, process maintenance requests and become the point of contact for tenants’ questions, complaints and related issues. Our office staff is both english and spanish speaking. Our goal as lease management experts isn’t simply to keep your units occupied – but to keep them occupied with reliable, well-qualified tenants. Once a unit becomes available, we advertise it locally and then screen every applicant thoroughly by checking their references, employment status and credit history. Through this process, we’re able to help ensure the tenants in your buildings will both respect your property and pay their rent in a timely fashion. We have learned from experience the importance of risk management in reducing injuries, insurance claims and the effect it will have in your ability to obtain reasonably priced insurance. We work hard to make the properties as safe as possible by routine inspections and routine cleaning. Simple steps such as installing twin-bulb fixtures in apartment hallways ensure there will be light even if a bulb burns out. In addition, the regular cleanup and inspection of hallways and common areas results in the prompt correction of safety hazards such as broken locks, missing balusters or broken stair treads while lessening instances of graffiti and promoting respect for the overall property. Our professional maintenance crew works 24/7 to handle emergency and routine maintenance repairs, make routine inspections and perform painting and cleaning duties to prepare for new tenants. Another example of how we reduce risk is that we don’t subcontract snow removal because we have found that it can be difficult to monitor the quality of the work of subcontractors. Instead, by doing it in house, we feel we have better oversight and control of the quality of the work. Obviously quality of snow and ice removal will play an important roll in reducing injuries, insurance claims and keeping your insurance rates as low as possible.